On its first year, the administration made clear that the implementation of its projects — from new roads, airports and railway lines — would shift drastically from the policies of the Aquino government. Described by Duterte officials as a “golden age of infrastructure,” the “build, build, build” program calls for about P8 trillion in public and private spending during the President’s term until 2022. Among the so-called “legacy projects” that the Duterte administration plan to roll out during his term are the P227-billion Mega Manila Subway; the P105.3-billion Philippine National Railways (PNR)-North South Commuter Rail; the P150-billion PNR North-2; the P134-billion PNR South Commuter; the P151-billion PNR Long Haul; the P80.41 billion Mindanao Logistics Infrastructure Network; the P57.6-billion Subic-Clark Cargo Railway Project; the P26.65-billion Metro Manila Skyway Stage 3; the P21.9-billion Bonifacio Global City to Ninoy Aquino International Airport (Naia) bus rapid transit system; the P18-billion Metro Cebu Expressway; the P19.8-billion Davao City By-Pass, and the P14.9-billion Central Luzon Link Expressway. 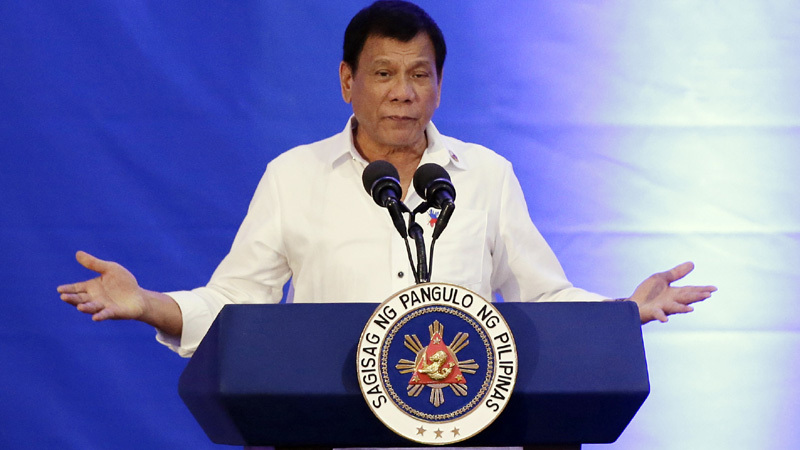 Mr. Duterte’s government wants to set infrastructure spending at 5.3 percent of the economy this year against an average of 2.9 percent during the Aquino administration. The plan is to bring this up to more than 7 percent by 2022. The goal of such massive spending is to support growth, officials said. The other objective is to cut crippling traffic in major urban areas across the country, a problem likely to stay a while longer since many of the larger projects like trains and new roads would be completed by 2020 and beyond. About 60 projects valued at close to P1.8 trillion have been identified under the “build, build, build” program, most of them aimed at easing land, air and sea bottlenecks. About P1 trillion of these are train projects alone. The call for better infrastructure is reminiscent of the public-private partnership (PPP) program launched by former President Benigno Aquino III early on in his administration. Indeed, many of the largest “build, build, build” projects are carry-overs from the last six years. Aquino’s PPP program, thus far, gave Filipinos two new toll roads (the Muntinlupa Cavite Expressway and Naia Expressway Phase II), the Beep card system for elevated trains and more public classrooms. Other ongoing projects include the new passenger terminal in Cebu’s main airport, the Cavite Laguna Expressway, and important bus hubs in the southern part of the capital. Still, the PPP promise fell short of expectations, with the previous administration failing to launch most of the projects in its pipeline. Where the Aquino administration leaned more on the private sector for financial backing of its infrastructure goals, the Duterte administration signaled that it wanted to go a different direction. According to the National Economic and Development Authority (Neda), government spending via General Appropriations Act (GAA) funding would account for the lion’s share, or 66 percent of project cost through 2022. More emphasis was also being placed on overseas development assistance loans, which would account for 15 percent. Under Mr. Duterte, diplomatic ties with China have warmed considerably and there is a business end to this move. Loans from Beijing are now being eyed to finance various projects, including a train line that would link Manila to the Bicol region—a project once classified under the PPP program. A loan from the Japanese government would be used to build the P227-billion Mega Manila subway line, the country’s first underground train. PPPs, according to Neda, would still account for 18 percent of funding. Indeed, Duterte is playing like a smart businessman here. He goes where our nation's interest lie. If you ask any businessman if Duterte is making the right moves in this game, many, if not all, would say that he is.